High above Via Chiaia, a bustling street in the historic centre of Naples, lies the workshop of family-run trouser specialists Ambrosi. During a visit earlier this year, we were given an insight into how the house's artisans go about their work, and witnessed the attention to detail that goes into both its ready-to-wear and bespoke offering. 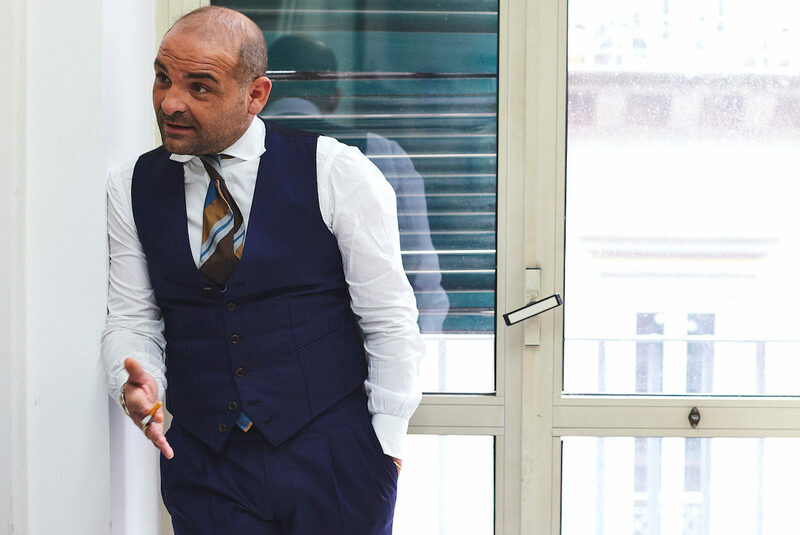 The company is currently headed by Salvatore Ambrosi, a cool, calm, collected, chain-smoking Neapolitan who’s the third generation of his family to cut cloth, whilst his father, Antonio, still works with the same passion as he did 30 years ago. Whilst we were documenting the production of our collaboration with the Ambrosi household, we also had a chance to dip into Salva’s pockets. Salva spends his hard-earned money on one of two things: cars and watches. “They’re the only two things that I can buy," he says. "I’m currently driving a Jaguar, but before that, I drove a Porsche. But now I’ve got two kids, so I can’t,” he says. 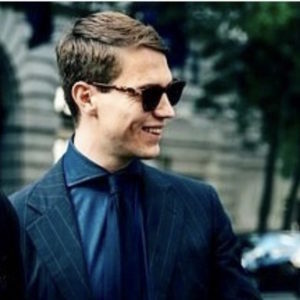 A true Neapolitan, he buys his suits from three Neapolitan tailors: Orazio Luciano, Sartoria Dalcuore and Sartoria Solito, which is where he received his first suit from. “I wear suits from these three, but that doesn’t mean the other ones are bad,” he adds. On the day we meet, Salva is wearing an Orazio Luciano jacket and waistcoat with his own trousers, cut from a navy, herringbone worsted woolen cloth from Drapers. I was curious as to why he wears his watch — a beautiful two-tone Rolex Datejust on a Jubilee bracelet — on his right hand. “Because we’re in Napoli. Everyone in Napoli wears their watch on their right hand,” he replies, explaining that it would be foolish to wear it on your left as it can be swiftly alleviated while driving by skilled pickpockets. On the bottom, Salva sports the Picadilly model loafer from Edward Green, which is his go-to for ready-to-wear shoes. Click through the images to find out more.